Served up MRM’s Daily Bite is news of a charitable effort for hurricane relief, CAKE’s survey on social media results and tips for attracting business travelers from Dinova. 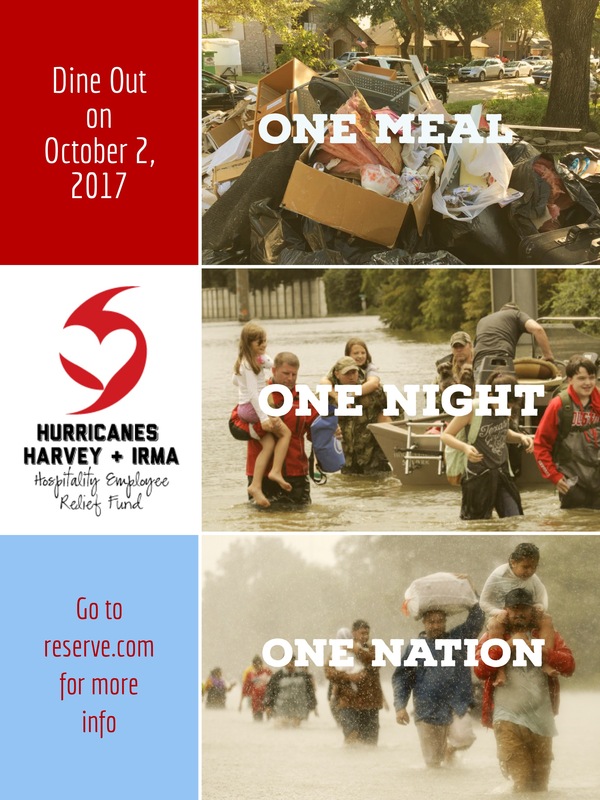 On Monday, October 2, hospitality industry leaders and diners alike will come together for “One Night, One Meal, One Nation” to support the Hurricanes Harvey & Irma Hospitality Employee Relief Fund. In gratitude to Alex Brennan-Martin and the Houston community for their support in the wake of Hurricane Katrina, co-proprietors Ti Adelaide Martin and Lally Brennan of Commander’s Palace, the Greater New Orleans Foundation, and Louisiana Restaurant Association invite patrons across the country to dine out for a cause. As part of this special evening, participating restaurants will donate a portion of the proceeds towards individual grants for hospitality workers, as well as to Share Our Strength’s No Kid Hungry campaign, and local school partners in the greater Houston and Florida Gulf communities. Confirmed participants include chefs Tom Valenti and Waldy Malouf—the driving forces behind the Windows of Hope Family Relief Fund for the surviving family members of restaurant and hospitality industry of the September 11, 2001 attacks—as well as notable chefs Michael Symon, Tom Colicchio, Dante Boccuzzi, Rick Moonen, and Tom Douglas. “After Hurricane Katrina, the hospitality community was there for New Orleans, and we’ll never forget it. Alex Brennan-Martin started the New Orleans Hospitality Workers Disaster Relief Fund, and with a National Dine Out Day as well as additional fundraising, raised and gave away over a million dollars in small grants to help individuals in New Orleans. Today, we are returning the favor,” shareded Martin. Donations will benefit industry workers and organizations in the affected areas, providing relief to hurricane victims and assisting the families in the hospitality industry who were affected by the disasters. A list of participating restaurants can be found on Reserve—the hospitality technology platform, helping restaurants and guests connect—at: tablemanagement.reserve.com/onemealonenightonenation. If diners are unable to participate on the night, tax deductible donations can be made via Golden Rule’s Indiegogo for One Meal, One Night, One Nation at: http://bit.ly/2x81kXM or by mailing a check to the Greater New Orleans Foundation at 919 St. Charles Avenue, New Orleans, LA 70130. Donations should specify “Hurricanes Harvey & Irma Hospitality Employee Relief Fund.” Both are tax deductible. “Our National Dine Out Day for Hurricane Katrina was such a success, and I can’t wait to see what this evening and the crowdfunding website will do for hospitality employees in Houston and Florida during this challenging time,” added Brennan-Martin. Four Corners Property Trust (FCPT) signed a definitive agreement to acquire 41 restaurant properties from Washington Prime Group Inc. (“WPG”) for a purchase price of approximately $67.2 million cash. The transaction is priced at a cap rate consistent with our investment thresholds and past transactions and is expected to close in two tranches. The first tranche is expected to close in the fourth quarter of 2017, and the second tranche is expected to be completed in the first half of 2018, in each case, subject to due diligence and customary closing conditions. There is a separate individual lease for each property, and the leases have a current weighted average remaining term of approximately eight years. In addition, well over half of the leases cover only the ground (i.e., the tenant built its own building with ownership reverting to the landlord upon lease expiry), so the current rents are lower than if the rent had been set to cover both the land and the cost of the building. The restaurant properties consist entirely of outparcels to WPG properties and are well located within highly trafficked retail corridors in Colorado, Connecticut, Florida, Illinois, Indiana, Iowa, Maryland, New Jersey, Ohio, Pennsylvania, Texas and Virginia. Approximately 83 percent of the net operating income is from properties on out-lots to either open air or WPG’s “Tier One Enclosed” properties. None of the 41 restaurant properties or the adjacent WPG properties are currently encumbered by property-level debt. In addition, the portfolio includes 22 different restaurant brands, 15 of which would be new to FCPT’s current portfolio. The 22 brands in the transaction include: McDonald’s (5 restaurants), Buffalo Wild Wings (4), Olive Garden (4), Taco Bell (4), BJ’s Restaurant (3), Red Lobster (3), Chick-Fil-A (2), Starbucks (2), and one each of Arby’s, Burger King, Cheddar’s, Chili’s, Checkers, IHOP, Outback Steakhouse, Panda Express, Panera Bread, Rally’s Hamburgers, Steak N’ Shake, Texas Roadhouse, Wendy’s and White Castle. Of the 41 leases, 32 are with corporate operators and 9 are with franchisees. According to recent data from CAKE, an integrated restaurant technology platform designed specifically for independent restaurant operators, social media adoption does in fact yield results. In fact, restaurants who take advantage of the #foodie era are benefiting from higher revenues. For the restaurant industry, which relies heavily on reviews and recommendations, this means every customer now has the power of a well-acclaimed food critic. Whether “checking-in” at a restaurant on Facebook, snapping the perfect #foodie image for Instagram, or posting a review on Yelp, social media mavens are a mouthpiece for restaurants, showcasing what’s new, now and next. But is the hype actually increasing restaurant revenue? **The data pull indicates that high-performing restaurants account for 20 percent and above growth, while low-performing restaurants account for 2 percent and lower. According to Dinova’s internal data, October is the busiest month for business travel. The U.S. business travel economy is big, to the tune of $547 billion (GBTA Report). Of that, $262 billion is on business trip related expenses with dining at nearly $50 billion, only second place behind accommodations. How can restaurants benefit? 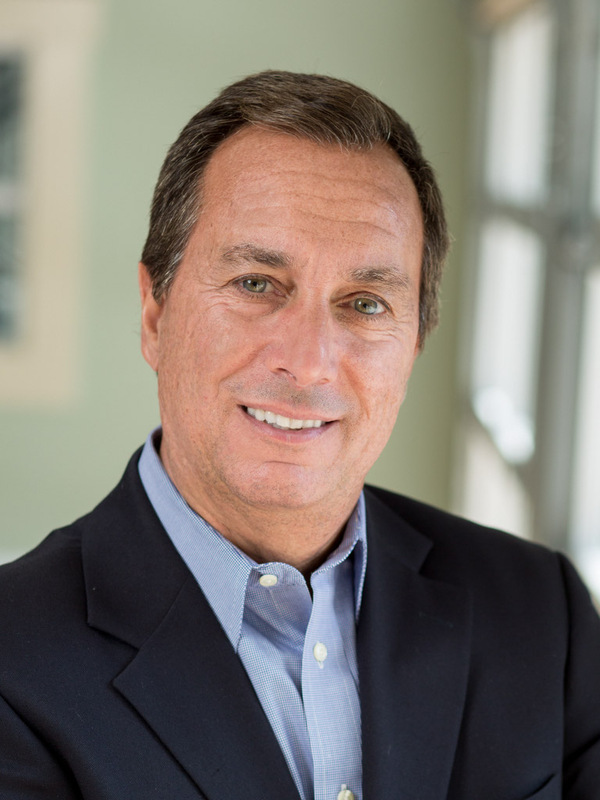 Dinova’s Founder and CEO Vic Macchio has tips and insights to help restaurants attract these business diners. Road warriors eat breakfast, lunch and dinner. No matter what segment you’re in, there’s always a way for you to capitalize on these travelers. There are often solo travelers who are time-crunched and exhausted. These road warriors are often looking for free amenities like WiFi. They may need to get in and out quickly, so mobile apps are a great resource for them to pre-order and pay if needed. Restaurants may also see business travel groups, who are still working and would still need WiFi, but they are also a little more energetic and talkative than the solo road warrior. These business diners are oftentimes in town for a conference or industry event. Be sure to keep a calendar of these events to help prepare for the influx of business diners. Business dinners are out-of-town travelers on business, dine primarily mid-week and arrive at all hours of the day and night. Having a “late night” menu would help accommodate those coming from different time zones looking for a meal. FoodLogiQ secured a lead investor to help fuel its rapid growth to dominate the food technology space. The latest round is being led by Renewal Funds for an undisclosed amount. Renewal Funds, a mission-based venture capital firm based in Vancouver, B.C., invests in food and technology companies that have strong values and exceptional ideas. The partnership between FoodLogiQ and Renewal Funds will accelerate FoodLogiQ’s mission to map the world’s food chain, make it as safe as possible and empower people to make informed decisions about the food they eat.. In the last six months alone, FoodLogiQ has expanded its customer base to include CKE Restaurants, Five Guys Burgers and Fries, the Hain Celestial Group, Panda Restaurant Group among others. This impressive new customer list is bolstered by established customer relationships with Buffalo Wild Wings, Bareburger, CAVA, Chipotle Mexican Grill, IPC/SUBWAY, Tropical Smoothie Cafe, Whole Foods Market, and many more. FoodLogiQ was also recently recognized by Forbes Magazine as being one of the top 25 most innovative AgTech startups. “Renewal’s focus on food and tech companies at the forefront of social and environmental change aligns perfectly with FoodLogiQ’s mission,” said FoodLogiQ CEO Dean Wiltse.